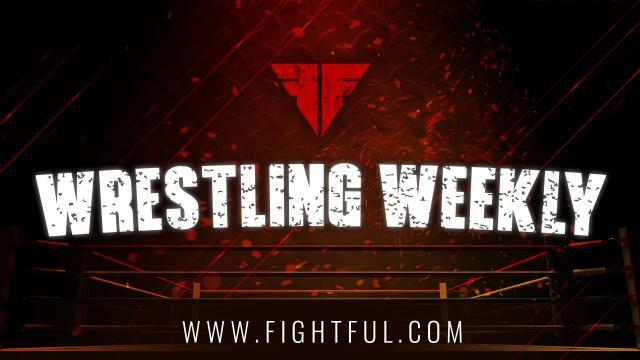 For those unfamiliar with the Fightful Wrestling Weekly, it's about 1,000 words of exclusives or behind the scenes info from Fightful staffers that may be unique to this column, or may be something you've missed from recent interviews. You can see the Weekly early by Subscribing to Fightful Select, where we also cover the news in The Fightful Report podcast. There was a scary moment on this week's episode of Smackdown Live when Mustafa Ali landed knees first on Daniel Bryan during an 054 that closed the match. I'm told it was a "scary situation" in the ring, but right through the curtain, Daniel Bryan was adamant that he was okay. He and the referee in the match were sent to the trainer's room to go over what happened and how Bryan felt. Mustafa Ali, who was audibly apologetic in the ring, was even moreso backstage after the match, but there was a mad dash to move on to the next set of Smackdown tapings. Becky Lynch told Ariel Helwani this week that she actually used to train at SBG in Ireland years ago, including with John Kavanagh, who coaches Conor McGregor. Becky Lynch mentioned that she may visit SBG to see Conor McGregor while she's in Ireland for Christmas, but Fightful was informed that McGregor not only hasn't really been training of late, he hasn't been around SBG and hasn't spoken to Kavanagh, either. Kavanagh was outspoken this week, saying that he'd need a reason to work with McGregor again, but we were also told there was no real bad blood due to the situation. Eli Drake explained to me his reasoning for re-signing with Impact Wrestling recently. It was speculated with his level of charisma and in-ring work, he'd be a prime target for WWE. He was actually "blackballed" from WWE for quite a while, but says the person that was there that caused that is gone now. Drake confirmed that he had other offers on the table, but looked at where he lived, the money he made, his lifestyle and decided that he enjoyed where he was. He said that he might end up "changing his mind in the next year or so" and will still have options, but for now, he's happy as things are with Impact Wrestling. Gordon opened up about the military and how that prepared him for this pro wrestling career, saying that organizing travel, being dedicated, sticking to a diet and workout is credited to his time in the military. While he says he's living his dream as a pro wrestler, he's never home. At the time we'd done the interview, he'd worked 118 matches over the prior year across nine countries, plus international waters. We talked to Flip about expanding his arsenal offensively, and he admitted that he's been considering adding a submission wrestling finisher. He said that since John Cena isn't wrestling much anymore, he was thinking about picking up the STFU, and has also given thought to the Crossface -- which has been used by several wrestlers since Chris Benoit's passing, but not regularly. I was able to speak to a couple of main event IMPACT talent in Johnny Impact and Killer Kross recently. We talked about a lot of the roster overturn in IMPACT and any other number of promotions, so I asked who each man would like to see a part of IMPACT that isn't right now. Kross was pretty abrupt and succinct in saying that he'd want Chris Jericho. Johnny Impact echoed that sentiment and remembered back to working with Jericho during their time together in WWE. IMPACT said that "he's not called the GOAT for no reason" and put over his abilities. Impact also said the Young Bucks and Adam "Hangman" Page were guys he'd like to see brought over, and said that he doesn't think Page gets the love that he deserves. Page impressed Johnny on the Jericho Cruise, and considers "Hangman" underrated. While Johnny was complimentary of the Hung Bucks, he doesn't think their Halloween Super Mario shenanigans that they pulled on the Jericho Cruise would work a second time. A little tidbit on NXT moving their WrestleMania weekend Takeover event several weeks ago. When I asked several NXT wrestlers about the move, they had no idea until I asked them. They were going to be in town by then anyway, so it didn't really make for a big change. In fact, most of them responded positively to the news, with one saying the more wrestling for all, the better. Raw and Smackdown wrestlers were also kept out of the loop about the context of Vince McMahon's involvement on Raw Monday night. A few hours before the show, it became a little more widely known backstage that NXT call ups would be on their way, but those call-ups weren't at the venue. Within NXT, it wasn't much of a secret that Heavy Machinery was going to be brought up, and most were expecting EC3 to get the call virtually since he was signed to begin with. We had the news up early about big changes to the Ring of Honor Dojo, in their incorporation with the Monster Factory, and specifically Danny Cage. Delirious has had a positive relationship with the Monster Factory for quite a while and appeared on several of their shows. Monster Factory has been a good "in" with ROH for a long time, and now even more so with Cage as Operations Director at the ROH Dojo. Cage was teasing the news for weeks, if not months on social media, so it's been in the works for quite some time. The move is a big one for Future of Honor as well, which has the benefit of having matches filmed in front of an actual audience regularly now as opposed to in front of fellow workers. This was actually a deal that was pitched as far back as 2014, and then again in 2017, but extenuating circumstances -- including Kevin Kelly leaving Ring of Honor -- caused some speed bumps in the deal. Monster Factory approached ROH again this year and a deal was put together. I'm told it will originally start as a month-to-month deal, but the agreement is for one year.